If you haven't been following me over on my Facebook like page, you should! Go check it out and share/invite with your friends :-) I'm always excited about new likes. 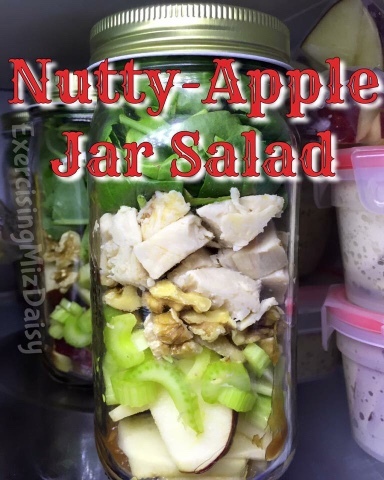 I thought it would be good to collaborate my collection of mason jar salads from over the past few weeks (I have three to share with you today). These are our favorite go to thing for lunches. At the start of the week I make 4-6 jars and then Kyle and I have them to grab throughout the week. I don't make 10 because we don't want to eat them every day of the week. Instead they are made and ready when we don't have something else. We typically have left overs in the mix so it adds some variety to what we grab for lunch. 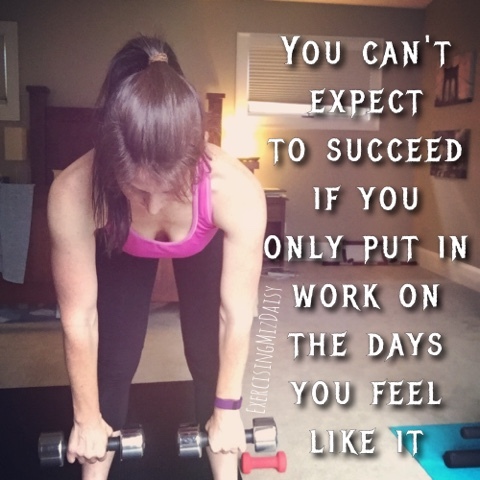 And if I have a kid day activity I can toss one in and know I'm taken care of while either the kids eat out or I fix them something not so healthy but quick. 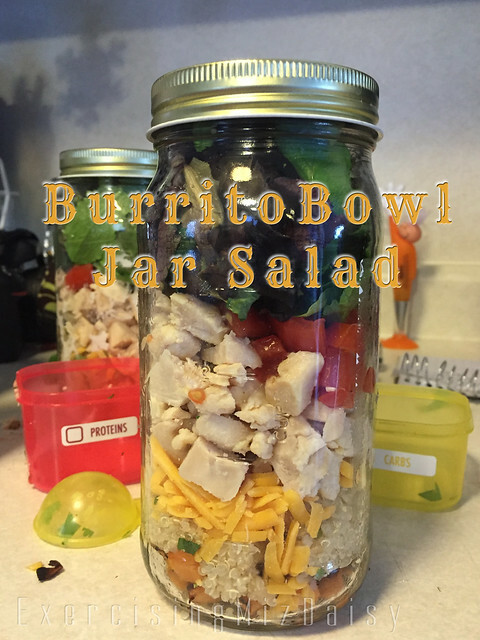 Burrito Bowl Jar Salads recipe can be found here. 2. Season with salt and pepper if desired; mix well. Evenly divide dressing between 4 pint Mason jars. Set aside. 3. 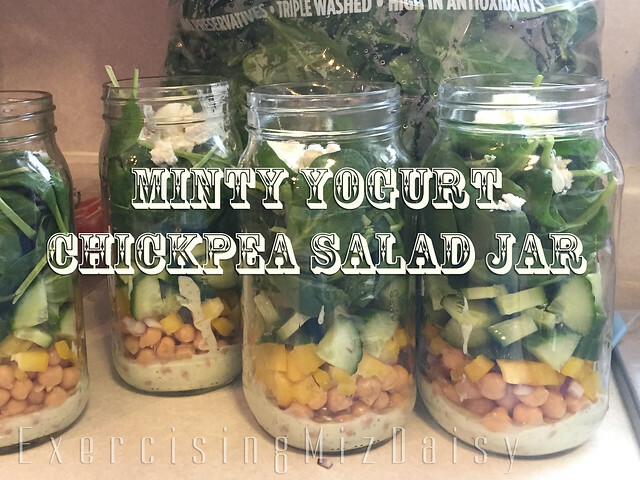 Evenly layer chickpeas, bell pepper, cucumber, spinach, cheese, and parsley on top of dressing in jars.